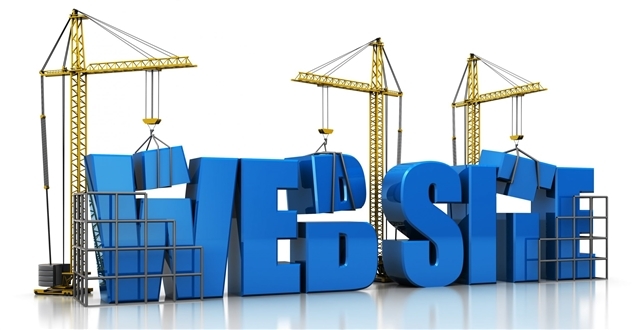 Creating a website can, at first, be a very daunting task. There are many considerations to start the process. Planning each step can help limit confusion and frustration down the road. Starting considerations should include the Domain Name, Website type and Hosting Provider. Commonly you will find your preferred Domain Name is already in use or is taken by another organization. This occurs with many common names. As we have seen in the case with St. John's United Methodist. In order to express and to have an easily recognizable Domain Name, they appended BR to the name, as is the case with First United Methodist of Denham Springs; they appened -DS. Enter the name you are considering and it will check the availability of your choice. This is a free tool and can be used as much as you desire. Once you have decided on a Domain Name and it is confirmed as available, you need to determine your Hosting provider and website type. Most wesites are now designed through content management systems, such as, WordPress or Joomla. These allow you to configure a template and add stories, articles and blogs to the site; even to add extra users that can contribute to the articles. The criteria for choosing a free web host and a commercial web hosting solution are similar, but the choice can make difference on the pocket book and the appearance of the site. Most free web hosts require mandatory advertising of their choice on your website. This is done to cover the costs of providing your site the free space and services. Common forms of advertising require a banner ad on the header of your pages, others display a window that pops up everytime a page on your site loads, some impose an advertising frame encompasing. There is really no hard and fast rule which is to be preferred, whichever method is used, ensure you are comfortable with the method. It is typically not advised to use a free web host for presenting a Professional Appearance. And sometimes the advertising, which you have no control of, can be controversial. If you expect to expand your site eventually, you will need to anticipate future expansion. Most sites use minimal amounts of web space. Your needs will vary, depending on the number of pictures, soundfiles, video clips, etc. Some free hosts limit the size of each file you upload. Other sites restrict the file types you can upload, commonly only HTML and GIF/JPG files. If your needs are different you will need to look elsewhere. This is extremely important. A site that is frequently down will lose visitors. If someone finds your site on the search engine, and attempts to visit only to find it is offline they will lose the experience you are trying to provide to them. Slow access is also very frustrating for visitors. Not only should the web host be reliable and fast, it should guarantee its uptime (the time when it is functional). Look for a minimum uptime of 99%. In fact, even 99% is actually too low — it really should be 99.5% or higher. Most professional Hosts will provide a guaranty of uptime. Note though that guarantees are often hard to enforce from your end — especially if the host denies there was any downtime. However, without that guarantee, the web host will have little incentive to ensure that its servers are running all the time. Unlimited Bandwidth and disk space are a huge incentive to entice you to a specific host. Be aware, unlimited is not entirely true. Hosting Providers regularly run customer bandwidth and disk space utilization through a series of statistical analyses and use the results of these studies to define normal. Although the actual results of these analyses vary from month to month, one thing remains constant: 99.95% of web sites fall into "normal" range. Typical websites that fall outside the normal range are using their accounts for file storage and sharing rather than hosting. Technical Support is another consideration. You will be surprised at how often things go wrong at the most inconvenient of times. Also note that many hosts advertises 24/7 support this does not mean that all are live support 24/7. The standard is live support during most extended business hours and email or online chat support suring off hours. The Technical support from a paid host is typically willing to step you through any questions or problems you have. Free Website Hosting sites typically offer no Support. With your own site, you will want to have email addresses at your own domain. Some standards are; allow a catch-all email account that causes any email address at your domain to be routed to you, Set an email address autoresponder to automatically reply to the sender with a preset message, Retrieve mail with your email software, Automatically forwarded to your current email address. Price is always a factor, you should realize that you often get what you pay for. Most Pay For Web hosts allow a Monthly, Quarterly or Yearly, somtimes a two or three year plan, as well. If you are unsure about making a commitment to a Hosting Provider you can utilize the monthly plan. However, you can realize a greater saving by going with a longer commitment, which is paid up front. These hosts are suggested for known performance with speed, reliability and congenial Support staff. These hosts are suggested for known performance with speed, reliability and congenial Support staff and christian founded messages. Once you have chosen a hosting provider, you need to create an account and sign up. Follow the Powerpoint tutorials and the FatCow tutorial on how to utilize WhoIs.net, Sign up with a provider and to setup Word Press using the cPanel control center.